Thought I would show off my newest addition. 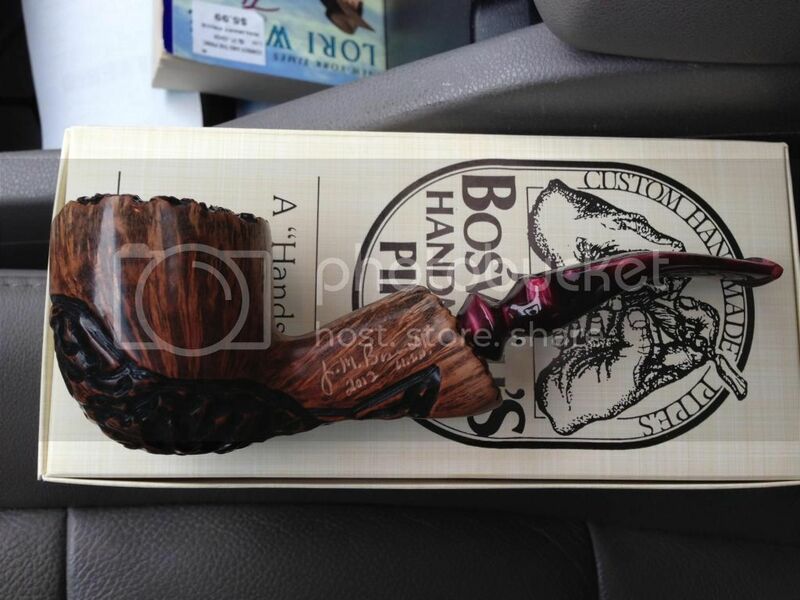 It's my second Boswell pipe and they are just a piece of art. Their website has only "sold" pipes. How did you get yours? Don't draw fire, it irritates the people around you. Man, that is a beautiful pipe. I'm not a pipe smoker, but if I were, I would want one like that! This is the first time in history that we have had so many people who have no morality, who have never darkened the door of a church. Social media in their hands is frightening. Boswell puts a new batch of pipes up on Wednesdays and they sell QUICK. Best bet is to check put the selection on Wednesday and call quick. This has saved this guy some $. Hi my name is Joe and I have BRD. Aw heck no, I've got enough ocd habits. I live 15 minutes away from their shop, so I stop in and browse the 75 or so he has in stock at the store.